As the Australian Council of Social Service (ACOSS) Poverty in Australia 2016 report revealed late last year, more than 3 million Aussies currently live below the poverty line. This concerning piece of research shed light on just how tough times are for low-income earners, and while it can be all too easy for folks who are struggling to make ends meet feel like they have to go without, the truth is, this needn’t be the case. No matter whether you’re looking for new clothes for your kids, or crockery for your kitchen, Adelaide’s op shops have got you covered. 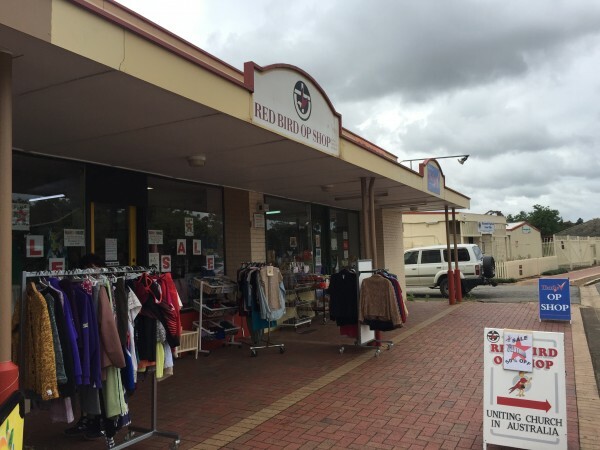 Adelaide’s Northern Suburbs are particularly rich when it comes to quality second-hand shops, so to celebrate National Op Shop Week 2017 (August 27 – September 2) we thought we’d put together a guide to the northern suburbs’ finest op shops. So without further ado let’s take a look at what Adelaide’s north has to offer when it comes to thrift shopping. A business initiative of Finding Workable Solutions (FWS), Salvage & Save is well worth a visit. 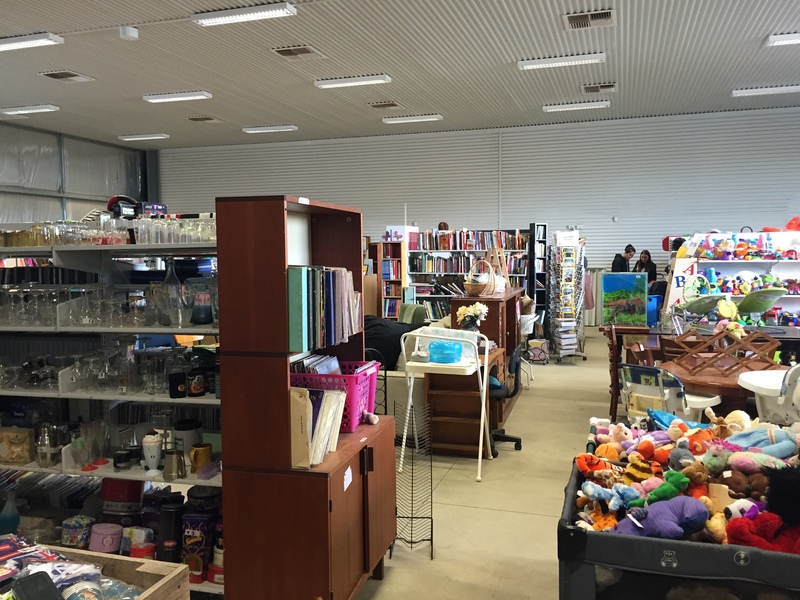 Home to a good range of books, plants, clothes, furniture and bric-a-brac, Salvage & Save is a bit of a second hand super store. Even if you’re looking for bigger items such as bikes or electronics, these guys should have you covered. 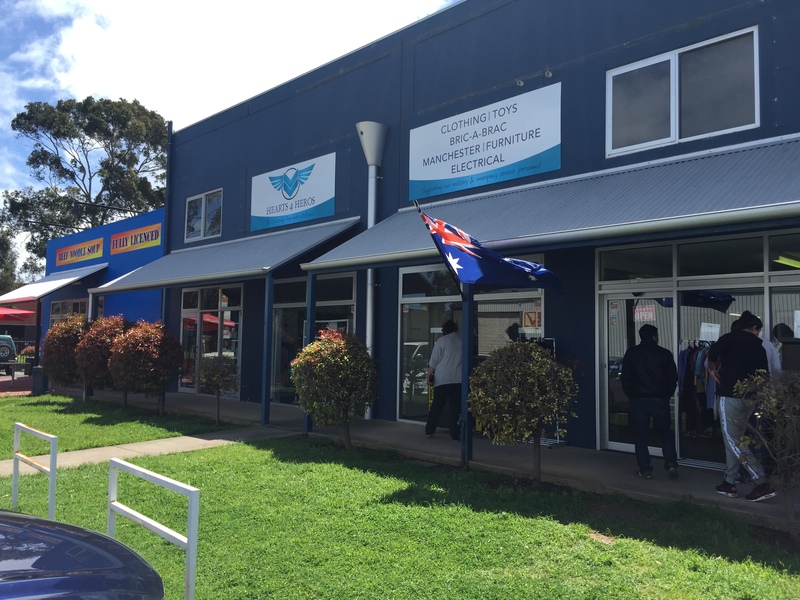 Keen participants in the work for the dole program and the Australian Disability Enterprises program, when you shop at Salvage & Save you know your money is being well spent. 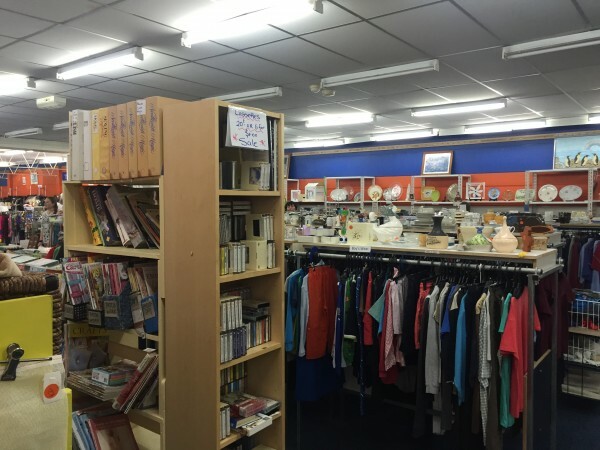 Run by the Elizabeth Church of Christ, the Boomerang Centre is a narrow little nook of store that’s packed to the brim with pretty decent second hand clothes and bric-a-brac. Not much to look at from the outside, the Boomerang Centre is especially worth visiting if you have small children in need of some new threads. Situated just off of Main North Road in Elizabeth North, the Red Bird Op Shop is a little gem. Replete with a superb range of men’s, women’s and children’s clothes, as well as a cool selection of bric-a-brac, this musty, cramped and charmingly old fashioned op shop is one of Elizabeth’s finest. 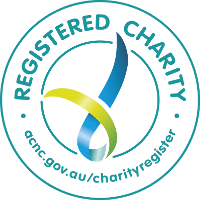 With all proceeds going towards funding the great work done by the Uniting Church, you know when you’re spending your hard earned at Red Bird that you’re helping those most in need. 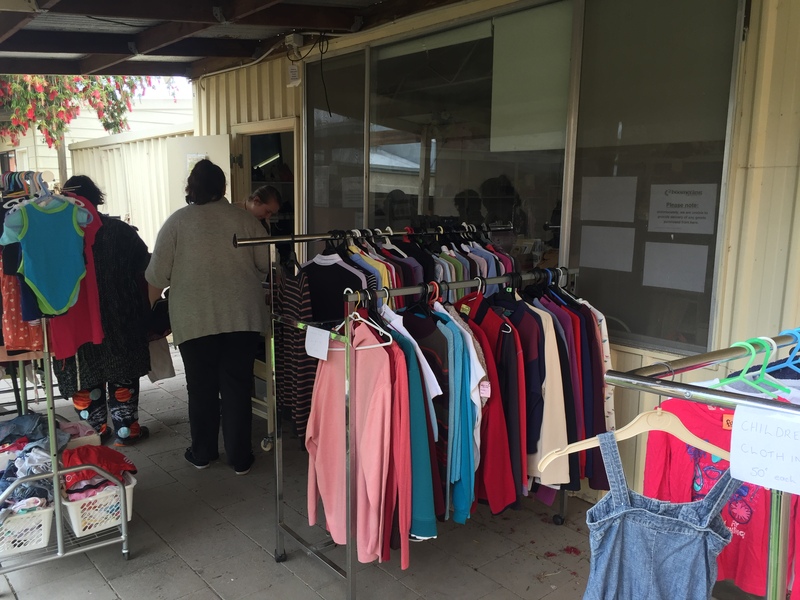 Part of the Churches of Christ fundraising initiatives, CareWorks Community Op Shop in Elizabeth North is a sparse little shop with plenty of hidden gems. Specialising in clothes and homewares this delightful little op shop also stocks a pretty decent range of board games, CDs and bric-a-brac. But if you’re looking for good quality homewares and cooking gear, this is the place for you. The Volunteer Association operate four op shops across Adelaide’s northern suburbs, but there’s no going past their superstore in Elizabeth South. 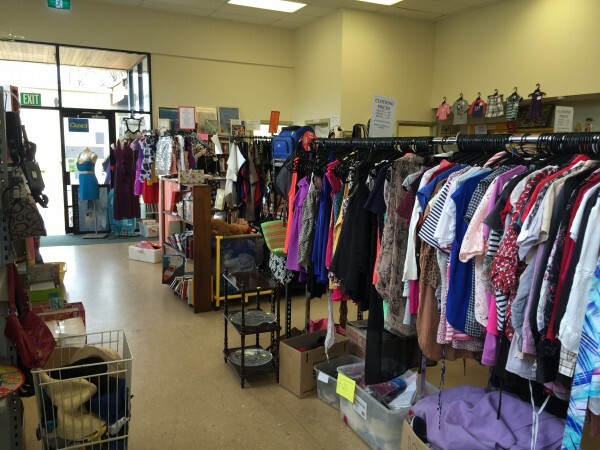 Chock-full of good quality secondhand clothes (including evening wear and wedding dresses), you could easily spend half a day browsing through this epic thrift shop. Stocked with all of the usual suspects: books, old PC games, CDs, VHS cassettes and bric-a-brac, plus a worthwhile range of large furniture items such as cupboards and lounges, no northern suburbs op shop tour is complete without a trip to the Thrifty V Superstore. All profits generated here go towards supporting the work of the Lyell McEwin Regional Volunteer Association. New, clean and neatly presented this store is a long way from the dank, dust ridden op shops that we’re used to. Spacious, yet filled with heaps of goodies, Hearts4Heros packs a good selection of quality gear. 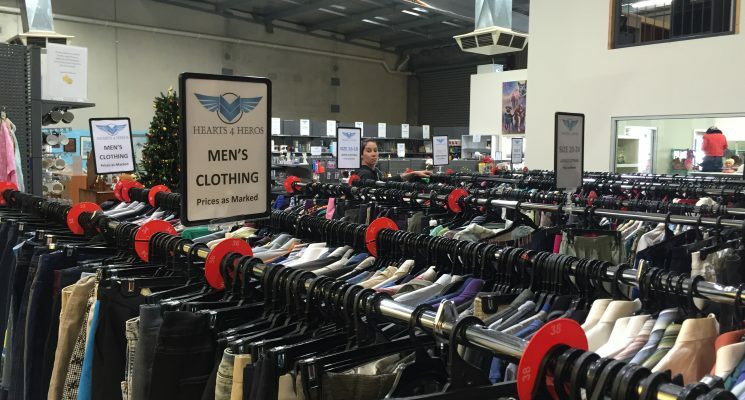 Everything that makes it onto the shop floor here is worth a look, from the (almost brand new) clothes to the well kept kids toys, you could easily drop a couple of hundred dollars in a single visit to the Hearts4Heros Elizabeth South store. Situated opposite the Rite Price Grocery, all profits from Hearts4Heros go directly to help support military, veterans and emergency service personnel injured on the job.